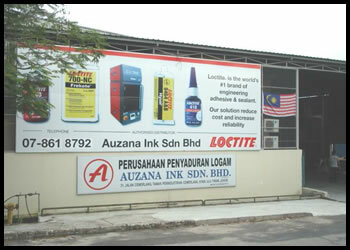 AUZANA GROUP is a wholly Malaysian – owned company, it was established in April 1996, serving both the commercial and industrial community in the whole Malaysia. With its excellent performance in product quality and service efficiency, it was awarded with ISO 9001:2008 certificate on 6th Oct 2005. We are the authorized industrial distributor for Henkel in Malaysia since 2006. Henkel is the world market leader in adhesives, sealants and surface treatments for consumers, craftsmen and industrial applications. We also provide a wide range of silk screen ink product, solvent and reagent, adhesive, wiper and other industrial supplies. We have a dedicated and experience workforce and sales-team prepared to give the best to serve our customers. “ TOTAL CUSTOMER SATISFACTION "
Formalized systems ensure consistent quality and on time deliveries.